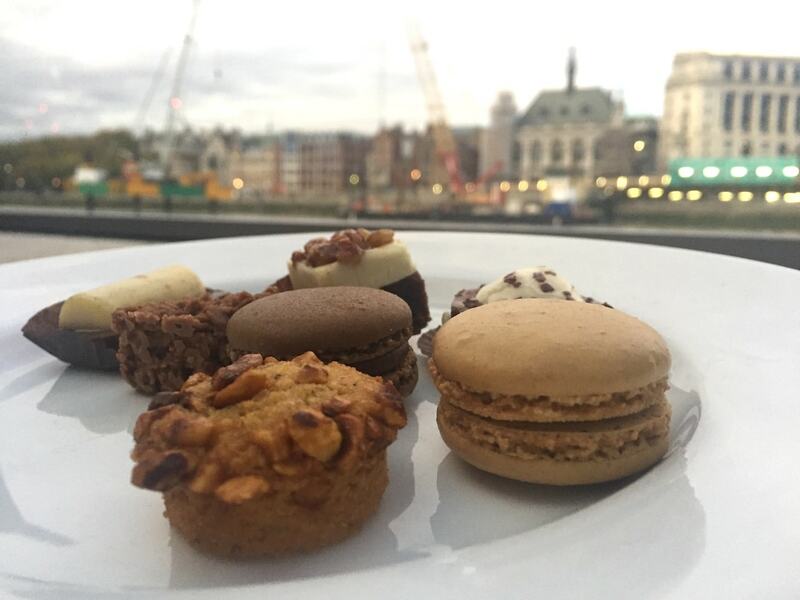 I never knew that you could enjoy Afternoon Tea on the River Thames until very recently. In posh hotels, maybe, but on a boat while taking in the sights of London? Now this I had to see. 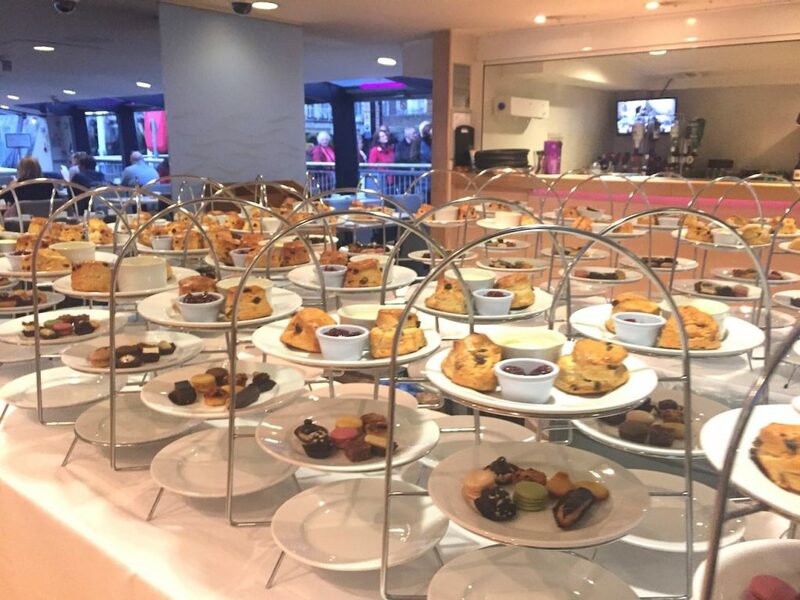 City Cruises offers Afternoon Tea cruises on a daily basis. 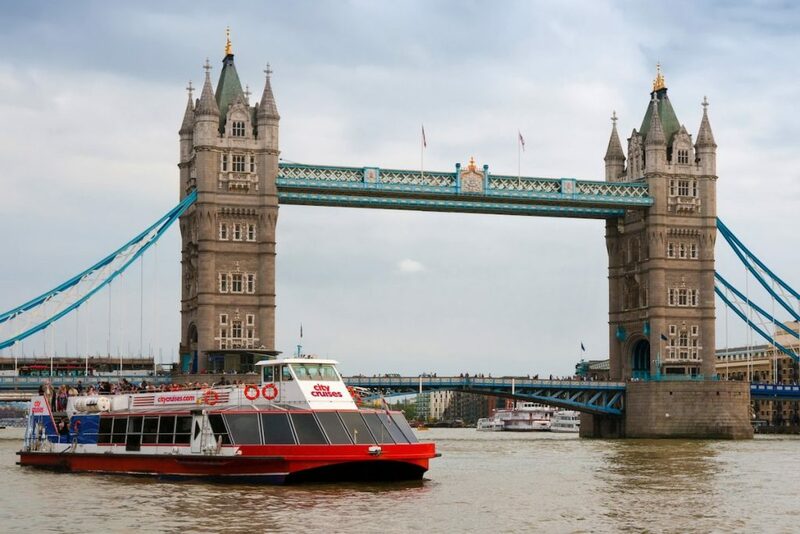 They depart from Tower Pier (the nearest tube station being Tower Hill), so if you really wanted to ‘kill two birds with one stone’ on a trip to London, you’re well placed to take in the sights of the Tower of London too. I was travelling with my lovely friend Aurora, who like me, was partial to a bit of cake and tea on a lazy Sunday afternoon. The boat docked up and on we got. My initial impressions were great; although there was a queue to board, what I liked was that there wasn’t a massive rush for the best seats in the house. Boarding was a very civilized affair – we gave our names and we were escorted to our table by a hostess – they had it all worked out in advance where we would be seating – nice touch. Aurora and I had a two-seater table right next to the window, so I knew it wouldn’t be long before my phone either (1) ran out of storage space or (b) ran out of battery, with all the photos I’d be taking. As it turned out, my phone did run out of battery – but luckily not before I had got most of the shots I wanted. Within a few minutes of us being seated, we were served with cups of tea or coffee – and the hot drinks were literally ‘on tap’ for the duration of the cruise. This was definitely my cup of tea (pun totally intended), although my bladder didn’t thank me on the journey home – should’ve thought of that. Next came the lovely Afternoon Tea stands featuring a selection of sandwiches on the bottom tier, cakes and pastries on the middle tier and the obligatory scones, clotted cream and jam to finish off. I had a good old nose at the sandwiches – fillings in ours included salmon, ham, turkey and prawns. The company also offers a vegetarian option and, if you give enough notice (at least 24-hours), they also offer gluten-free tea. 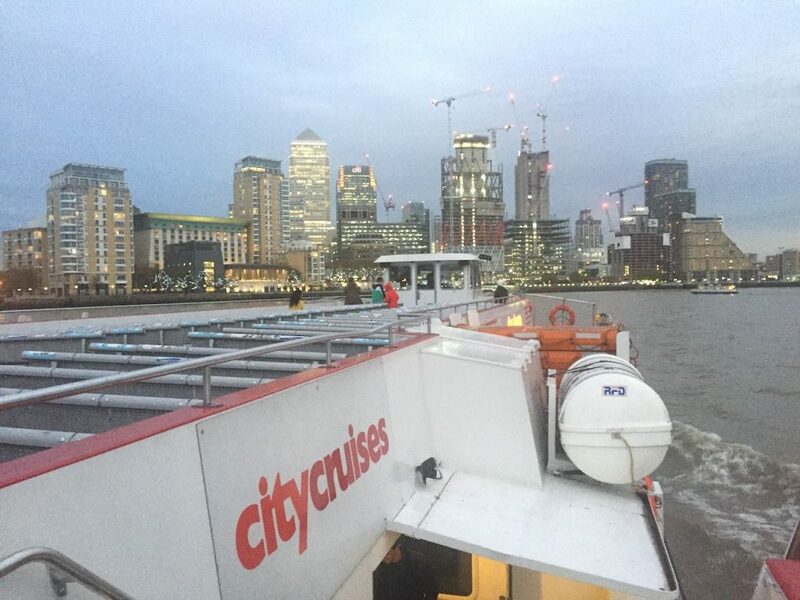 But what City Cruises did so well was to incorporate humour into its commentary – before long, the witty quips, jokes and observations had the guests on the boat bonding over shared laughter. It was really nice to see. On a good day, the London Eye generates £215,000 in revenue. Both Michael Jackson and Pavarotti have performed at the Festival Hall. Cleopatra’s Needle is the oldest object in london – it’s 3,000 years old! The National Theatre has been voted the ugliest building on the banks of the river Thames for last 10 years! And Prince Charles was even quoted as saying it was the ugliest building he had ever seen! Years ago, if you had a cherry tree on your house boat you would receive free moorings. You can still see the trees on some boats today, but they are kept more as a tradition nowadays. Following the commentary and me trying to drink as much tea as my bladder would allow, Aurora and I wrapped up to venture upstairs to the outdoor deck to enjoy 360-degree views of the city. It was actually perfect timing; dusk was setting in and the city was starting to come alive with lights – it looked really pretty. So, the big question is: would I recommend Afternoon Tea on the Thames with City Cruises? You bet. In fact, it actually makes for a really nice birthday, anniversary or special occasion experience – as you really feel like you’re being well looked after. Maybe next time you’re stuck on ideas as a nice gift for someone – this could be just the ticket. City Cruises runs Afternoon Tea Cruises every day. You board at 3.15pm and it departs at 3.30pm, returning at 5pm. As much tea and coffee as you like! I have to say, towards the end of the cruise I did start to feel a bit queasy. But this was probably more to me stuffing myself with as much cake and tea as I could muster than seas sickness; the only time we felt the waves were when another boat went past and created the waves. I just love the fact that you get to see the city from the river, boost your knowledge of London with some cool facts and eat cake at the same time. Whoever came up with this genius idea needs a gold medal as far as I’m concerned. What are you thoughts? Would you give river cruising with Afternoon Tea a go? Insider London: Get the inside knowledge on the capital! You’re absolutely right Iris – as I found out myself. It’s funny how much I learned while on the trip. This looks like a total hoot! Pretty cool that CityCruises had the seating down pat so there wasn’t a mad dash for all the choice seats. Glad you didn’t get sick at the end of your tea…. I would love to see London with my boyfriend. We also like tea very much, well we never miss a day without a cup of a good tea. I am sure you had an amazing day with Aurora. One to think about if you’re on a day trip! I’m sure you’d love it Kara! Thanks Jo – it really was lovely.. I love afternoon tea and tea on the Thames is the epitome of British isn’t it? I’d love to do this! 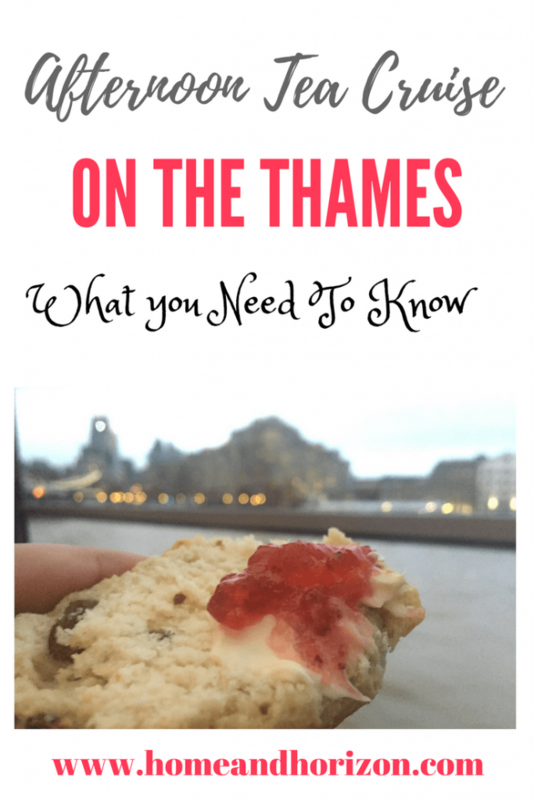 Tea on the Thames – has a nice ring about it doesn’t it?! Even if the weather’s rubbish, it’s doable which is great. What a lovely cruise. I have never been on anything like this before. The cakes look great too. Oooh they were lovely Claire ha ha! Polished off of course. Sounds like a great way to see London, the afternoon tea sounds lovely too. Puts a new meaning on killing two birds with one stone eh?! 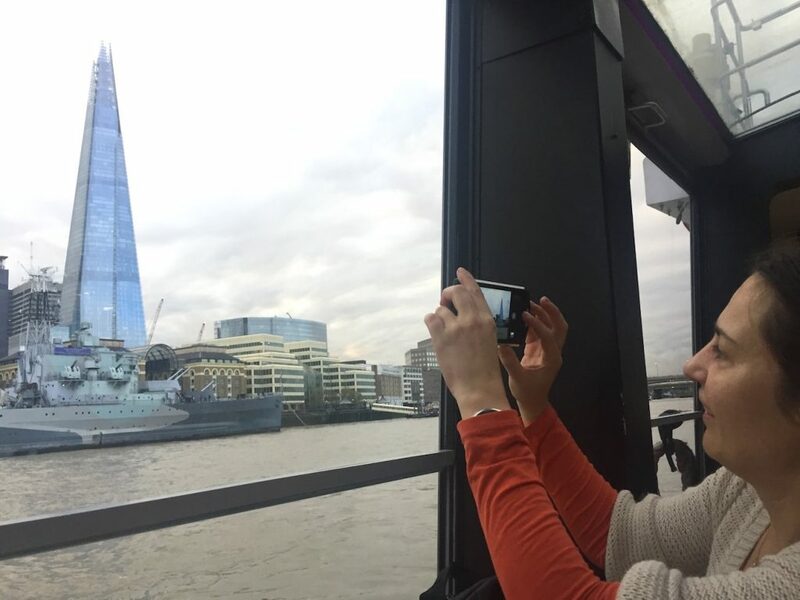 We did a River Thames cruise a couple of months ago and it was such a great afternoon. There were so many interesting facts about London during the tour, it was so interesting. It would of been an even better experience with a scrumptious afternoon tea. Cake and sightseeing (while warm and toasty) – what more could be better?! Thanks Anosa – it’s definitely worth doing – a nice relaxed experience while enjoying the capital! I’m sure he’d enjoy that! I love afternoon tea, so combining that with sightseeing is perfect 🙂 I found your facts very interesting too! Thanks Talya – it was really rather posh! I felt very privileged! wow I never knew this was a option either, it looks fantastic. Reasonably priced too and the food looks delicious. I’d love to do this. One for the birthday maybe!